Happy New year to all of Vandry BJJ students and instructors. It has been a great year in 2010, and I look forward to growing in 2011! I began martial arts as a child. I moved so much as a child due to my father being in the military that I structured much into reading and research. When the UFC started in 1993, I felt a surge of energy and interest that had been asleep since my childhood. Boxing captivated me, as well as watching Pro wrestling. Of course I had no idea as a child Pro Wrestling was staged, and my first fascinating submission that still stimulates me to day was the leglock or I should say leglocks. I remember reading an article in every pro wrestling magazine I could get hold of. There was an article when I was around 14 that had pro wrestling articles on Rick Flair and all pro wrestlers. It had a section on classic matches. There was this wrestler nicknamed the ‘Flying Frenchman’, Ed Carpentier. There was this picture that just intrigued me. It was a photo of him doing a submission move in Pro wrestling called the Inverted Indian deathlock. I tried to figure out. When I was a kid and saw Ric Flair and his figure four leglock, that was it for me. I had to figure that one out and luckily after watching it so many times I did. It was a great stimulus, and I never said thanks, but I will thank Ed Carpentier, Ric Flair and a pro wrestler I saw and got an autograph from when I was a kid named Buddy Landell. Ironically, Landell and Ric Flair both had a feud in Pro wrestling, and both did a good figure four leglock. I was so fascinated with these moves, although keep in mind I still had no idea they were entertainment, and organized events. These pro wrestling holds which were originated from Catch wrestling ideas had great ideas. Wrestling is man’s oldest sport. I have a personal collection of books that of course you cannot find. Photos from these books show ideas that take an art or martial art, and develop new ideas. My instructors, the Machado brothers from Brazil came to the USA with ideas such as these. They blended their Jiu-jitsu with ideas from wrestling, Judo and even Sambo. Leglocks, takedowns, new ideas came with the brothers, and still do today. My chief instructor Master Carlos Machado always gives me new ideas when I see him. I remember 15 years ago a guard pass he taught, and I saw him teach the same pass at a seminar last September at my academy. It had just a slight variation, but knowing how he originally taught it just made me understand that much more of his own science, exploration and experimentation of new ideas. Tragically, Rolls died in a hang gliding accident. Rolls’ mentored my instructors as well as mentoring a very talented Jiu-jitsu black belt that would also be a cousin of my instructor’s as well as working with them. In the late 90’s Royce Gracie came into the UFC scene. I read every article, watched and re-watched every UFC match he was in and I read every article from Black Belt magazine, Kung Fu magazine, and anything I could get my hands on. There was a quote by Royce Gracie when he was perceived as invincible that everyone wanted to know more about. “Rickson, son of Helio Gracie, was born into Gracie Jiu-Jitsu. At six years old he began competing; at 15 he started to teach it; and at 18 he received his black belt. At 20 Rickson won his first victory against the famous 230-pound Brazilian brawler Rei Zulu. With this victory, Rickson gained immediate national acclaim as the top freestyle fighter, leaving his mark on the history of Gracie Jiu-Jitsu and the Gracie challenge. Five years later Zulu requested a rematch and lost to Rickson again, in Maracanazinho before an audience of 20,000 spectators. Rickson is an 8th Degree Black Belt Open Class Champion of the Gracie Family, whose technique is considered to be the finest expression of Gracie Jiu-Jitsu in the world. 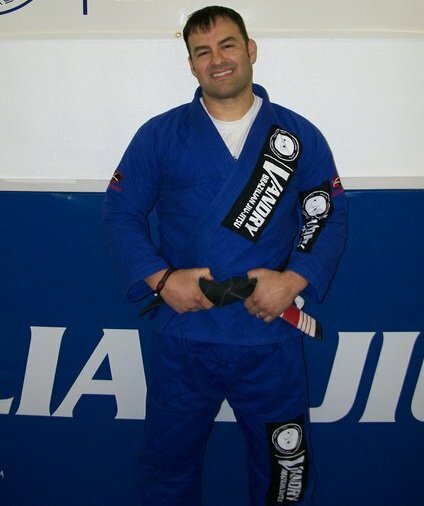 His innate talent and mastery of the sport have been demonstrated in numerous Jiu-Jitsu tournaments, freestyle wrestling, Sambo, open weight freestyle competitions and no holds barred fighting matches. Rickson is a two-time Brazilian Champion in freestyle wrestling, a Gold Medal Winner of Sambo, and for almost two decades he has been the middle-heavyweight and no weight division World Jiu-Jitsu Champion. He conquered Japan’s elite fighting in a tournament, the Japan Open Vale Tudo, winning both in 1994 and 1995. At this time, Rickson was acknowledged by the Japanese for possessing the Samurai Spirit. I note that Rickson was also rumored to be paid $1 million dollars for his fights with Nobohiko Takada. Technically he still would be the highest paid fighter in the world with possible exceptions of Pride’s later fighters. He was undefeated as a Black belt, and an MMA fighter. How many MMA fighters ever brought close to 50,000 fans to a fight? Wow. Rickson Gracie is a very well known Jiu-jitsu Black belt. His father is Helio Gracie, brother of the Machado brothers uncle and founder of our Brazilian Jiu-jitsu martial art, Grandmaster Carlos Gracie. Rickson is an 8th degree black belt. Rickson was first known visually from the video tape “Gracie in Action”, which is a documentary on challenge matches organized by Rorion Gracie, who also started the Ultimate fighting championship pay per view competition. Rorion’s intent was to show the reality of Brazilian Jiu-jitsu under a fighting sport without rules. Even in Brazil, the sanctioned fights only had no eye gouging or biting as the rule. Rorion’s imagination gave rise to mixed martial arts in the USA, and of course worldwide. Rickson was the main event in Gracie in action 1, when he fought against a brawler nicknamed ‘Zulu’. Zulu was a brawler that fought challenge matches in Brazil and Rickson defeated him twice. Rickson then moved on to become Vale Tudo champion of Japan, an event that was the first public promoted event in a country. I know of the great Rickson Gracie from reading, viewing and studying his actions when I was a white belt. I saw his tact, his style, his cat like athleticism along with his great killer instinct. Of all, I was very impressed with his defense. I note that Rickson Gracie also always kept in top shape, even to today. When he was in the Hulk movie, he is shown mentoring Banner with breathing exercises. This seems like a very emotional extension of Rickson’s reality. “Rickson Gracie is the best. If you doubt him, go ahead and give him a call and he’ll show you. I like Rickson a lot. He is well respected in Brazil and he has done so much for the art. He’s accomplished more in his career than anyone else will ever do in their life in Jiu-Jitsu. All the people should have a lot of respect for him and for what he’s done.” – Pedro Carvalho. 3rd Degree Black Belt of Brazilian Jiu Jitsu. I met Pedro in 1996 when I competed for the first time in California. I wanted some last minute advice and he graciously met me at 10pm the night before the Pan Am. After training with him, and listening to his advice, he spoke to me about Rickson. He told me how Rickson was so ahead of everyone at that time, and how he could beat anyone. I was intrigued at this, and wanted to keep studying this man. My mentor Master Carlos Machado was a person that taught me not only Jiu-jitsu and its philosophy, combative response, nature and strategy, but he also lectured me many times about style, and about history. He still does to this day when I see him, and I absorb every word as if loading a history book in my brain. Carlos Machado told me how Rickson, who is his older cousin, used to mentor he and his brothers when they were younger in their teens and early twenties. Machado still keeps in touch with the Great Rickson Gracie, and also told me about Rickson’s Samurai warrior spirit, his drive, his discipline, his tact and his philosophical speeches. Like a child at a campfire, I have always absorbed and imagined each scenario when I was told great stories of their past. Rickson is a man of discipline. Look at him. He looks pretty much the same take one or two gray hairs the way he did ten years ago. He always stayed in shape. I remember in the documentary choke, I saw a man that balances his life. I found it intriguing watching him make quiche for his kids on the video, and I noted he laughs, jokes and focuses on teaching, family life, goals and fighting, all at separate times. Rickson caught quite a bit of backlash following comments made to Tokyo Sports in which he stated that heavyweight king Fedor Emelianenko had “so-so” technical ability. The native of Brazil recently revealed to The Rio de Janeiro Times that he feels confident that he would come out on top of a match-up between himself and Brock Lesnar or Fedor, regardless of his age or nine year layoff. However, Rickson does admit that it would likely take him a little bit longer to submit “The Last Emperor”. “[Brock Lesnar] is impressive as an athlete, but he has holes in his game like anybody else,” said Gracie. “Technically, he is not as good as Fedor. Interesting. Rickson is 52, but still looks like he did at 35. Rickson Gracie is a person that we all need to give thanks for. My instructors trained with him when they were younger, Rickson Gracie opened the doors for the challenge match, and his awesome skills opened eyes to Japan and USA. His legend will go on forever, although I would love to see him as a commentator in future MMA shows. Royce Gracie was the man that made BJJ spread in the USA, but he attributes this to his brother Rickson Gracie. I personally never want to forget history. I love to write articles remembering great things such as past fighters, great philosophers like Grandmaster Carlos Gracie, Helio Gracie, The Machado brothers, and men like Rickson Gracie. Perhaps one of these days when I restart Black belt interviews, I may try to contact Rickson. I certainly have many questions I would enjoy asking and hearing his reflection and opinion on.